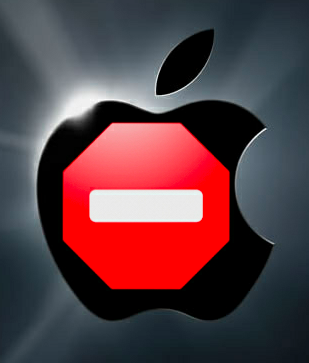 will apple iOS 6 kill the developer ecosystem? short answer: no. The always highly anticipated WWDC keynote brought the official announcement of iOS 6, the latest version of Apple’s mobile operating system. While most of the updates are enough to make me want to open a developer account so I can get my hands on them (the phone features, especially that DND! ), the inside baseball buzz after the announcement was about concern for the sustainability of the app ecosystem. TechCrunch’s Ryan Lawler wrote a great piece outlining what types of apps are bound to suffer because Apple is bringing their functionalities in-house. I’m of two minds about this which is why it has taken me a few weeks to weigh in on the topic. While it is frustrating to see a large corporation snuff out competition by including their services natively, isn’t this the type of progress that actually encourages growth and innovation within the app developer ecosystem? For a startup like navigation app Waze, who initially appeared to be pushed out of the market, it is a boon. They helped Apple develop the app we will all use for directions come autumn. Not actually an acqui–hire, it is still enormous exposure Waze wouldn’t have otherwise received no matter how successful their product. Take Siri for instance. No one is grumbling about those guys having their app deleted from the Apple Store anymore. We simply take for granted that the technology is there for us when we want it. And because it is native, we don’t have to search it out. It is just at our fingertips. That is a huge win for a company founded a few short years ago. Yes, there are a LOT of apps that add no value to my day-to-day existence, but these developers are being creative and an Instagram isn’t built everyday. In the same way that I find Barnes & Noble difficult to navigate and over saturated, I don’t begrudge the authors of books I may judge will never read the chance to be published. As a lover of startups, technology and mobile, I champion the little guys who are building a product as their livelihood and raising money from investors who believe in them. I grouse when they sell to Facebook and their app is ultimately shut down. (I still want to pour one out for poor Beluga.) But in this tech day and age, large companies can’t innovate nimbly so they buy. Such is the nature of the beast and I’d rather seem them succeed by having their technology essentially acquired by an Apple. There are definitely worse things.